Who Makes the Best Sub-Compact Tractor? Sub-compact tractors have become very popular due to their versatility. With engines usually ranging between 15 and 25 horsepower, sub-compact tractors are perfect for both garden and utility purposes. They usually have very low ground clearance compared to compact tractors. This means sub-compact can support mowing decks instead of needing a pull behind mowing attachment. This is only one example of the versatility of this popular classification of tractor. So, who makes the best sub-compact tractor? There is no one-size-fits-all answer, as best sub-compact tractor for you depends on what you need to use it for. However, Kubota and John Deere are two of the most popular brands in the sub-compact market today. Before you decide between a Kubota or John Deere compact tractor, make a list of the activities for which you intend to use your new tractor. Once you know whether you want to use your sub-compact tractor for mowing, back-hoeing or other jobs on your land, you can consider factors such as comfort, horsepower and control into your sub-compact tractor comparison. Kubota and John Deere are two of the most popular manufacturers of sub-compact tractors. When deciding between a Kubota or John Deere compact tractor, there are a few factors to take into account. One thing you need to consider is horsepower. Both brands provide a competitive amount of HP in their sub-compact tractor models. Therefore, much of the Kubota vs. John Deere sub-compact debate comes down to the features and accessories that each brand of tractor offers. The sub-compact tractors in the Kubota BX series come with rugged diesel engines offering between 18 and 25.5 horsepower. The less powerful models in this series don’t have as much horsepower as a John Deere 1025 Series, but opting for a higher-class and slightly more expensive model will provide you with the power you need. Each tractor in the Kubota BX series has four-wheel-drive power to provide you with all the traction you need on tough jobs. The fuel tank is large (6.6 gallons), so you can work without needing to stop and refill frequently. Kubota BX tractors are designed to keep you comfortable while you work. Each model features a deluxe, adjustable, high-back reclining seat with soft cushioning, dual armrests and plenty of legroom. These sub-compact tractors provide hydraulic power steering to make your job as driver easier. There is an option to add cruise control, but unfortunately it does not come as a standard feature. If you are looking for an alternative to Kubota’s distinctive orange range of sub-compact tractors, John Deere is a good brand to consider. Tractors in the 1025 Series boast 23.9 HP diesel engines that provide plenty of power and responsiveness. All tractors in this range have 4WD, power steering and a compact body, which means they are easy to maneuver. One major advantage of John Deere sub-compact tractors is the trademarked AutoConnect Deck, which makes it very easy to attach a mowing deck. The Quick-Park loader mounting system also facilitates the mounting and removal of attachments, with no need to use tools. Unfortunately, reviewers claim that the John Deere mower deck is poor quality, and there are no anti-scalp rollers on the deck. The backhoe controls also require considerable practice as they can be quite touchy. 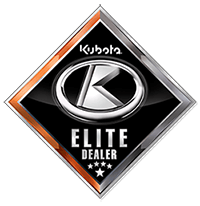 For more information about Kubota and John Deere sub-compact tractors, contact Bobby Ford Tractor and Equipment online today or call us at 979-849-5400. Bobby Ford’s line of Kubota sub-compact tractors is sure to include the machine that meets your needs.